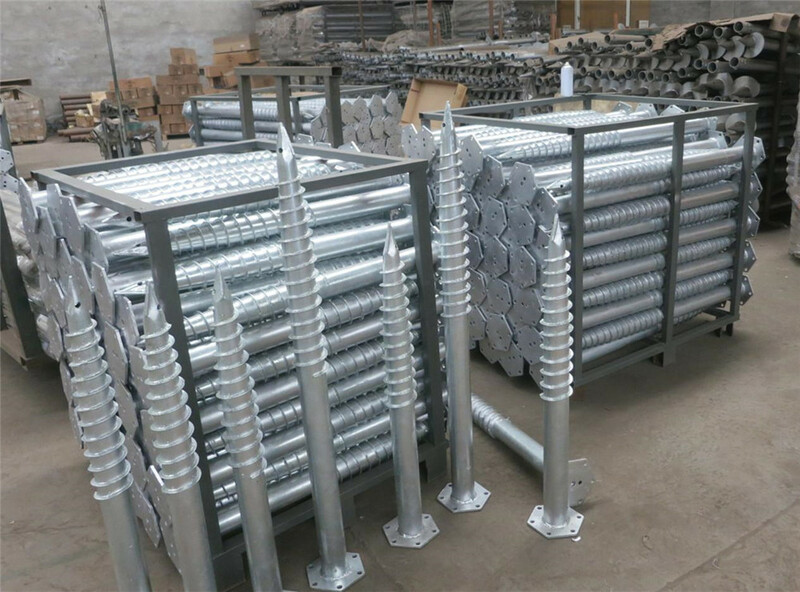 Categoría de productos de F Ground Screw, somos fabricantes especializados procedentes de China, F Ground Screw, Galvanized F Ground Screw proveedores / fábrica, de alta calidad al por mayor productos de Ground Pole Screw I + D y fabricación, tenemos el perfecto servicio y soporte técnico post-venta. Esperamos contar con su cooperación! F ground screw is called by our staff and it means ground screw pile with flange. Ground screw with flange is more important type of ground screw to build or fix buildings and it is usually used in construction as the flange of ground screw piles is flat and stable when ground screw and other buildings have a connection. The flange have different shapes as the customer`s needs. Generally, we have enough stock in round shape flange of ground screw and hexagon shape flange of ground screw because of having plenty of customers need to purchase these both types to support solar panel structures to constitute one set solar ground mounting system.